While Shattered Union offers a great setting (near-future American Civil War) along with your basic old school turn-based wargaming, it doesn\'t do nearly enough with the setting, and the turn-based tactical game is unfortunately overshadowed by a god-awful campaign mode. Rick delivers the bottom line in his review. 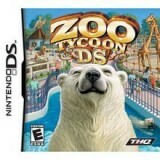 Microsoft\'s Zoo Tycoon series is an approachable, enjoyable franchise that allows you to build and manage your own menagerie of incredible creatures. It\'s the kind of game that is played almost exclusively with a mouse, and almost never works out on home or portable consoles. 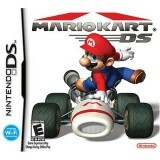 But that\'s just the niche filled by the Nintendo DS, right? That stylus should open up a world of simulated joy for us all, right? Well, don\'t count your ostriches before they hatch. Our man George has the review.